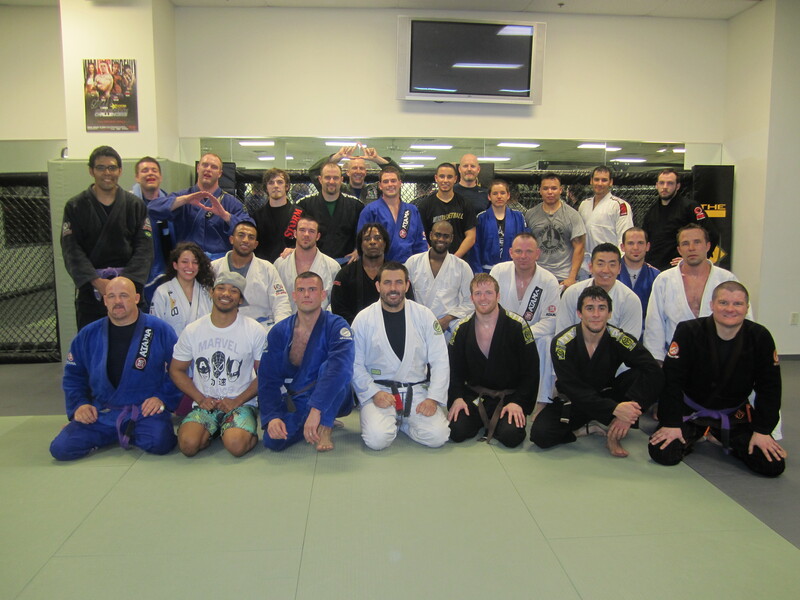 Yesterday all the boys got together and had a great training session at the MMA Lab. Santino Defranco (Southwest MMA) came down with Dave, Mark and some of his students and Kevin Scott (Goodyear BJJ) joined in too. It was great to see everyone training and competing together….looking forward to more times just like it in the future. This entry was posted on Sunday, January 30th, 2011 at 11:46 am	and posted in News. You can follow any responses to this entry through the RSS 2.0 feed. « Morgan Patnode shows the JCBJJ January technique of the month. Love to see this take hold John. Look forward to being there next time. So upset I missed this. Looks like everyone had a great time.